The Vesper Jersey is part our unique design collection. 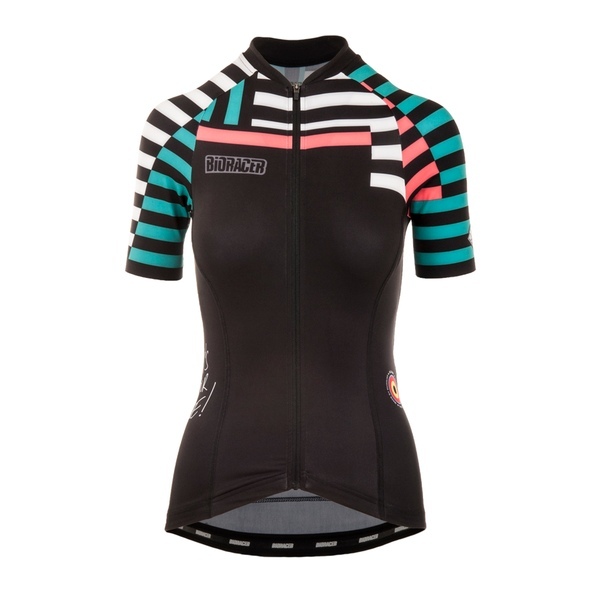 The basis of this shirt is our renown Vesper model, a jersey model that’s both aerodynamic and female friendly. It’s tuned to fit perfectly when you’re riding in the drops, and the cut supports you in a way that you can be in this position for an extended period of time. The basic material of this jersey is Matrix, a four way stretch fabric that’s lightweight and very breathable. The seamless sleeves add to the minimalistic, aerodynamic shape of this jersey.